Happy NTT, friends! Since finishing my #901 quilt I've been busy, but pulled in a few different directions. My Classic Meets Modern blocks for June are all finished, and I'll be sharing those on Friday. I've also been working on few other things that I just can't show yet. What I can show you though, is the fabric pull for my next quilt. 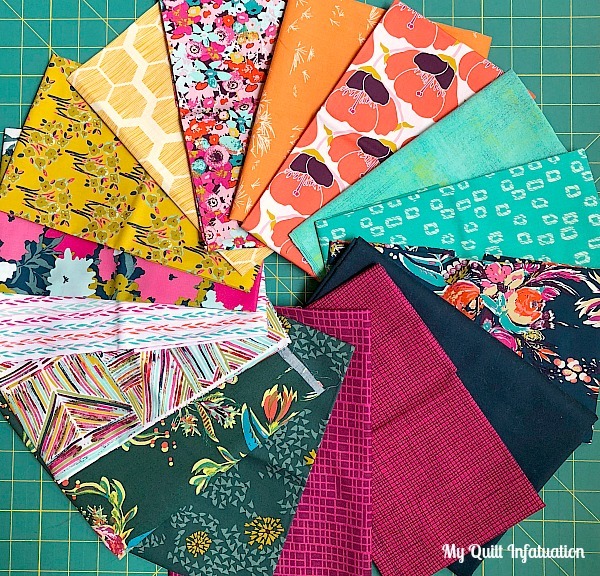 The bulk of these fabrics are the Splendid Fusion collection by Bari J, and I added six additional prints from my stash (including the dark green floral from the Joie de Vivre line, also by Bari J). I picked up this half yard bundle at Quilt Market, and I'm still working on a plan for it. Tanya Quilts in CO shared this gorgeous quilt top, made with an array of Kona solids. Eye-candy, indeed! I can't wait to see what you bring to the party this week, so let's get to it! I can't wait to see what you are working on. I am in awe of how you can pick prints seemingly out of thin air for a project! That's a great fabric pull. Can't wait to see what it becomes. Thanks for the share. 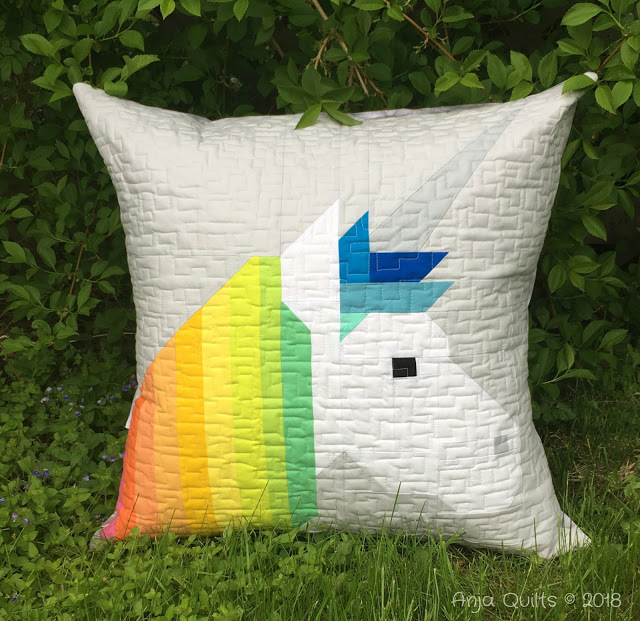 I had fun making that unicorn. You have such a fun, vibrant palette for your next project. Thank you for hosting NTT! Love those fabrics you chose. Can't wait to see what you make!